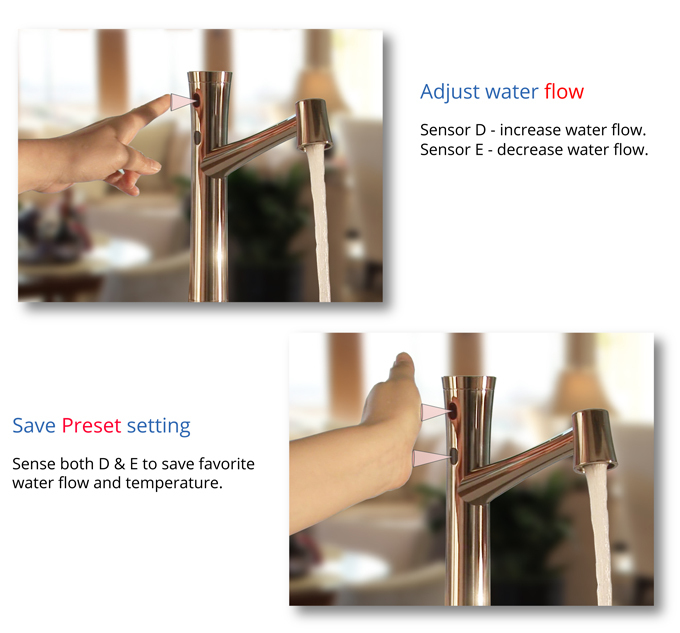 iSense is the first line of touch free faucets that revolutionizes the way we live. 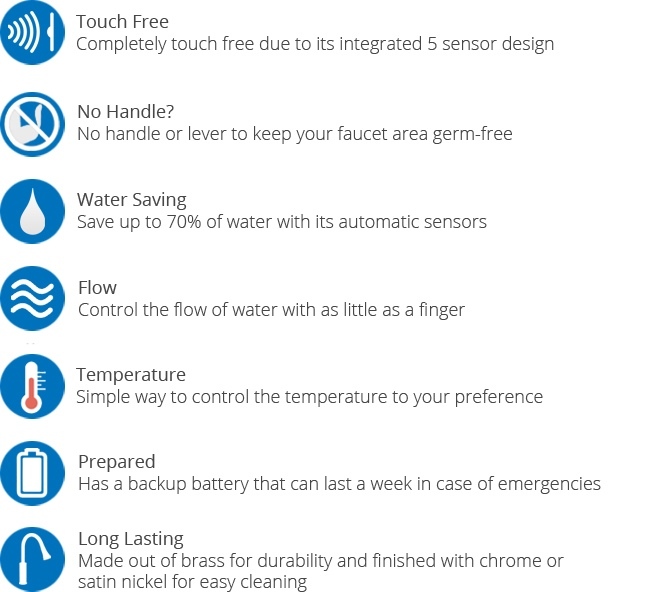 It is the best and only faucet that utilizes completely touch free technology for more convenience and personal hygiene. When you think of the dirtiest places in your house, the first thing that will probably come to mind is the toilet. To your surprise, where you sit on the toilet does not contain as much bacteria as you think. It is where you wash your hands after you use the toilet that contains much more bacteria. According to a survey conducted by the Hygiene Council, the toilet seat contains an average of 295 bacteria per square inch. 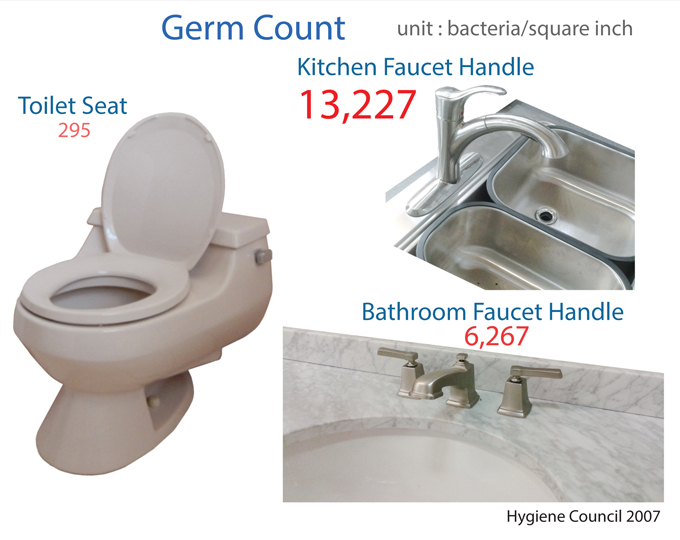 On the other hand, bathroom faucet handles contain an average of 6,267 bacteria per square inch and kitchen faucet handles contain an average of 13,227 bacteria per square inch. 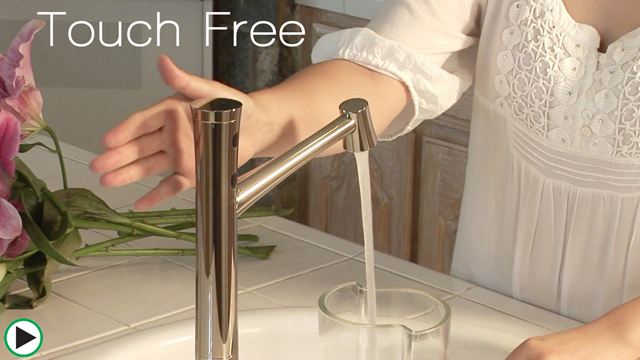 In an effort to reduce the amount of germs in our home, our touch free faucets were created. Why doesn't my home have a touchless faucet? Automatic faucets with infrared sensors were first developed in the 1950's but were not produced for commercial use until the late 1980's. Airports restrooms were among the first places to have them. 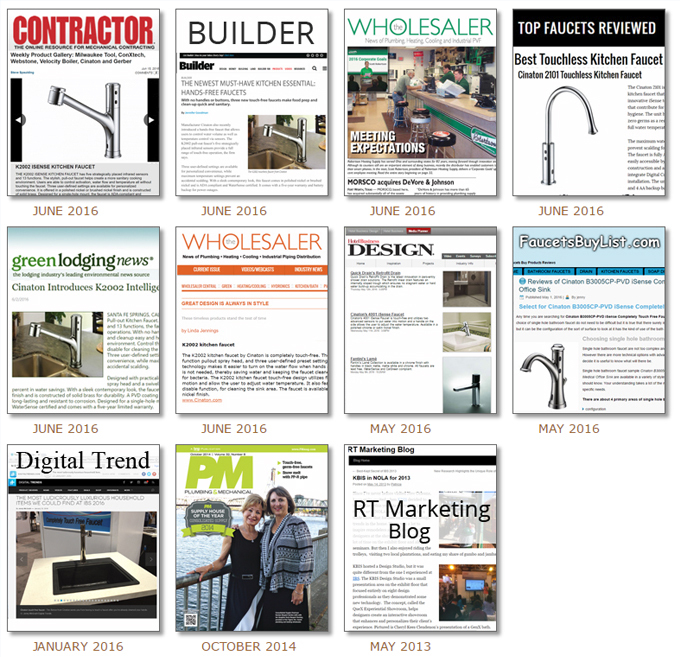 In the past few years, a few "touchless" faucets were produced. However, they are no different than airport faucets with an additional bacteria covered handle. 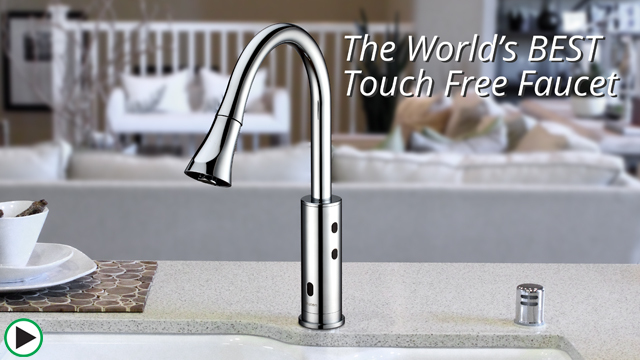 iSense is the first line of faucets that is truly 100% touch free. 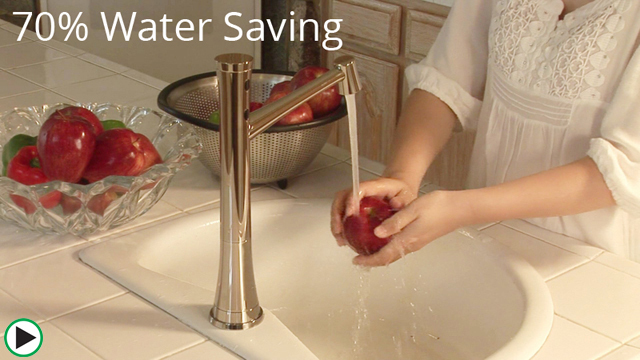 According to many plumbing manufacturers, a touch free faucet can inhibit the spread of germs and help save up to 70% of water that would generally be wasted. 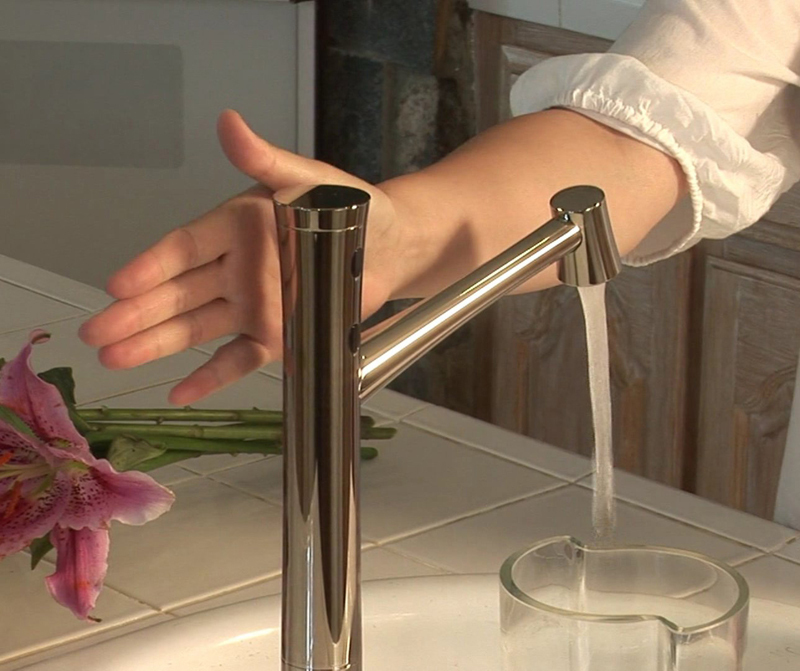 The faucet can be easily controlled with a few simple gestures. 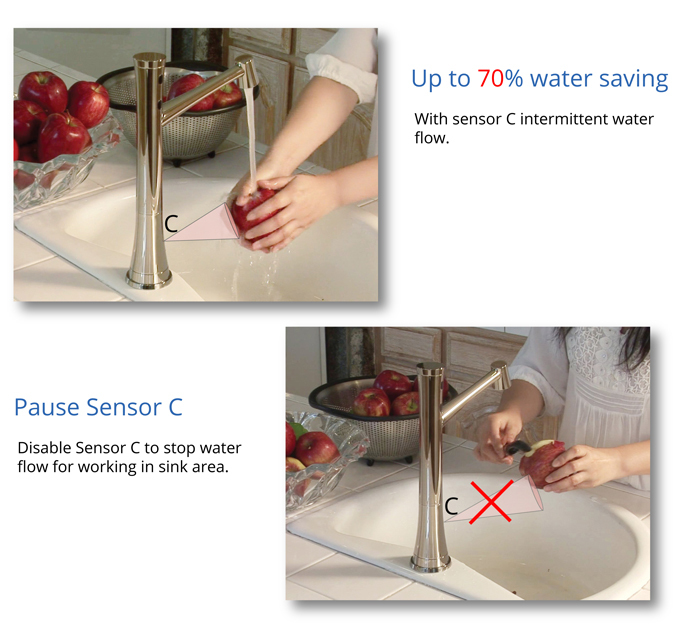 Save up to 70% water with the center Sensor C. A single finger can disable Sensor C to stop water flowing, so you can work in the sink peacefully. 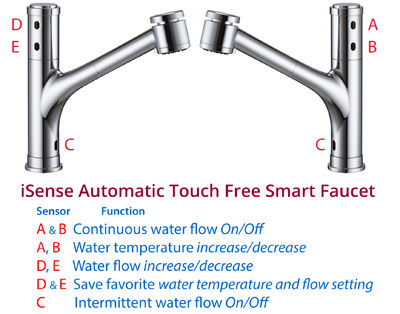 Turn water on/off, adjust water temperature and flow, save/activate three user defined presets touch free with the five convenient sensors. 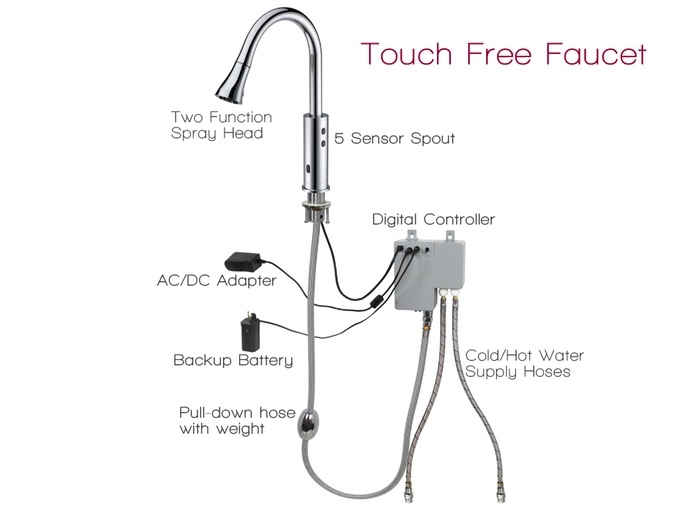 The touch free faucet system is quite simple. Everything is controlled by a Digital Controller which is hidden under the sink. The controller consists of a control valve, two electric gear motors, a solenoid valve, and a PC board which controls the faucet's functions. The faucet receives its power through a 110-240V AC adapter. 4 AA batteries is all it needs to operate in case of power outages. 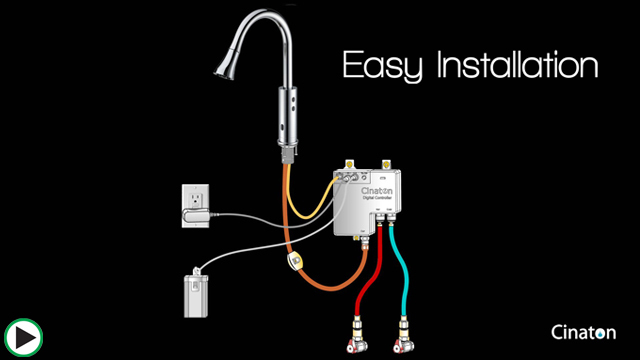 Since the commercialization of automatic faucets in the 1980's, leading faucet companies have attempted to bring a completely touchless faucet into the residential kitchen and bathroom. 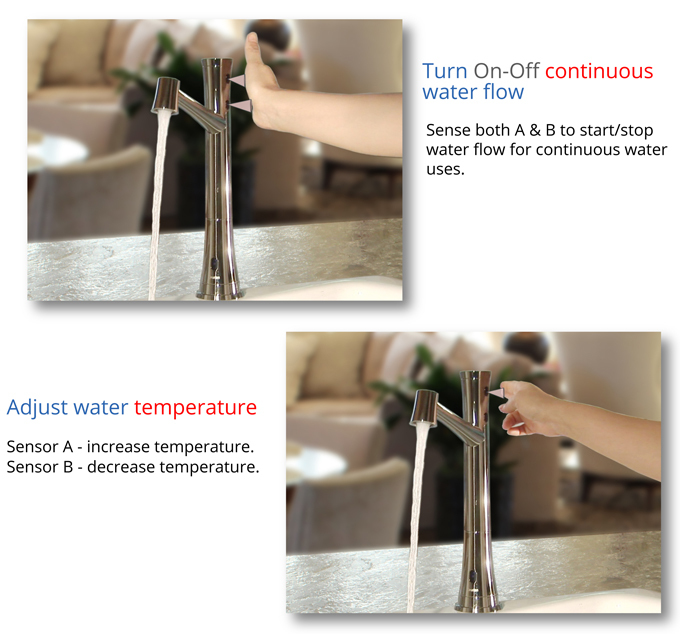 The conventional automatic faucet is typically controlled by a single sensor and is not practical to bring into a home. It does not have the option to control necessary functions such as temperature, strength of water flow, and continuation of water flow. In 2010, our team was finally able to create a prototype faucet that solved this issue and in 2011, we began to receive patents from around the world. 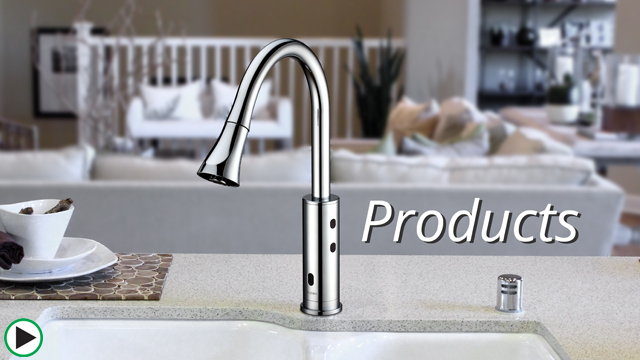 Our team took over five years and over one thousand prototypes to develop this completely touch free faucet for kitchens and bathrooms. 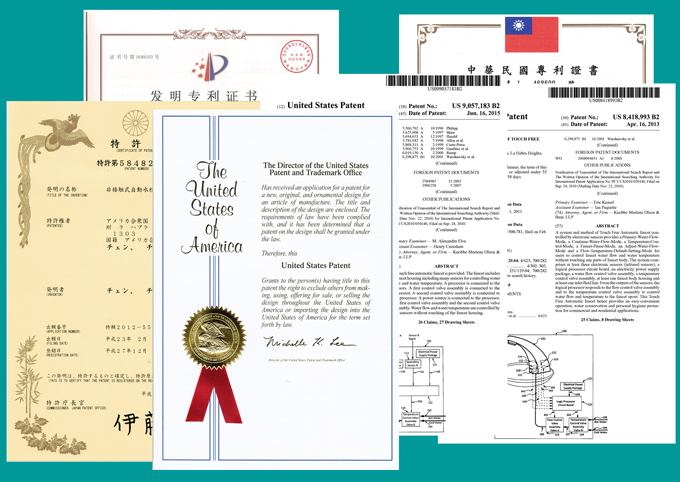 Currently, our invention has already been recognized and issued 19 patents worldwide. Our goal is to set a new trend. 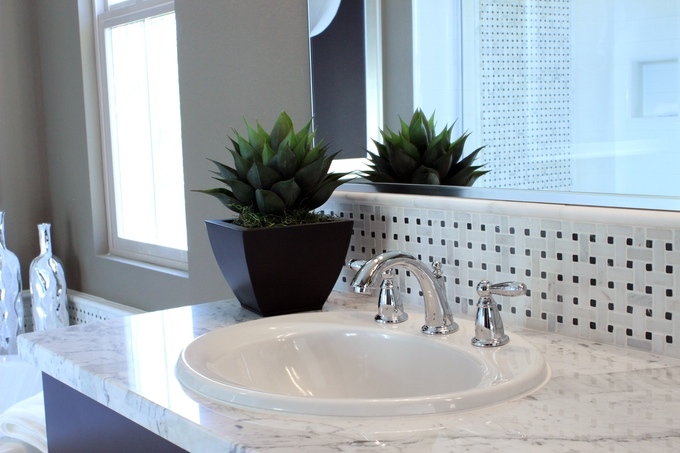 A trend that will promote personal hygiene and greener faucets around the world.